The crimes involving theft and the sale or possession of stolen property have detailed definitions and a variety of different elements. The difference between an act that can be considered criminal and an innocent act often comes down to one small factor. It is important for everyone to understand the detailed theft laws in the Maryland Criminal Code because it is so easy to come in contact with stolen goods or property. Unfortunately though, many people do not have the time to study these detailed laws, and even those who are responsible for enforcing them do not always have a concrete grasp. We have seen police make dozens of wrongful arrests for crimes involving stolen goods simply due to the fact that they were confused about the laws. We have also seen cases in court where other defendants pled guilty to a crime despite having a solid legal defense. Do not let this happen to you or a loved one! If you have been charged or are being investigated it is imperative to retain a criminal lawyer who not only knows the ins and outs of the law, but also is also willing to go the extra mile and fight for you in court. The Herbst Firm will never back down from the state, and we will never convince our clients to plead guilty unless it is truly the best possible decision. 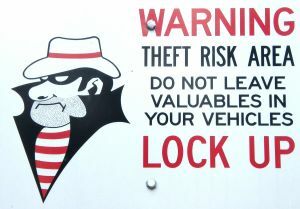 It is a highly common misconception that a person can only be charged with a theft crime if he or she stole something. This could not be further from the truth, and in fact there are numerous crimes that a person could be charged with regardless of whether they actually stole something. It is illegal to simply possess stolen property if the person knows that it is stolen and intends to deprive the rightful owner of the property. For example, if someone gives you a gift and you find out that it was stolen, you could be arrested and charged with a crime for keeping and or using the gift. In some cases, a person does not actually have to know for certain that the property is stolen, in order to be charged with a crime. It is illegal to buy and sell goods far below their market value, and anyone who participates in this sort of activity can be arrested and charged with theft, provided the goods were actually stolen. The knowledge that the goods were not legitimate can be inferred by the fact that the sale price was so far below market value. The penalties for possession of stolen property are the same as standard theft cases. The law treats actual stealing and possessing and selling stolen property the same. If the value of the goods is more than one thousand dollars the crime will be charged as a felony. If the value is less than one thousand it will be a misdemeanor with a maximum 18-month jail sentence. If the value is under one hundred dollars, the crime carries a maximum 90-day sentence. Any person convicted of these crimes may be required to pay restitution, and anyone with prior convictions faces the possibility of enhanced penalties.